After glancing over the musuem in the first post I wanted to address it a little more in depth. 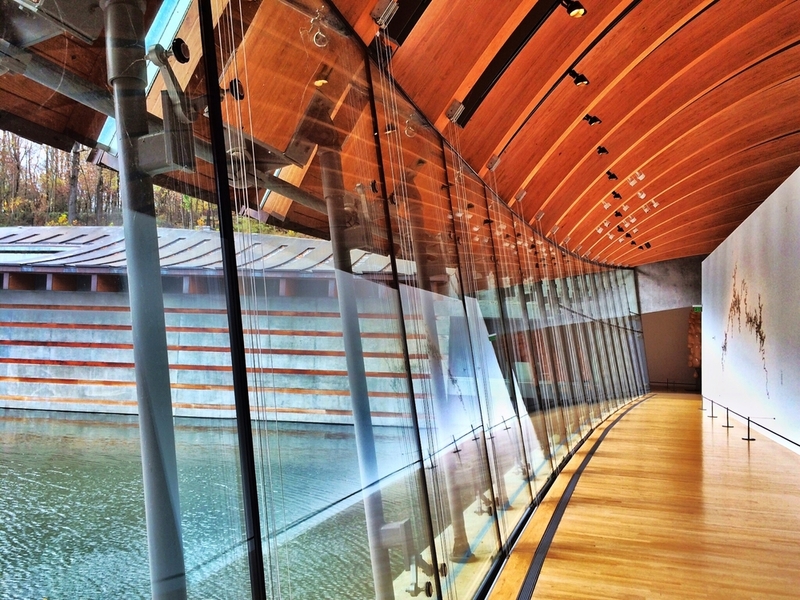 When I first heard about Crystal Bridges back in 2011, I thought it was too good to be true. The architecture is stunning and the work housed in the permanent collection is a dream, but the thing that really sealed the deal for me is that it's in the middle of nowhere. To be honest I'd rather visit Arkansas over New York any day. After a few days visiting a city I'm done and museums in places like Rome, New York and D.C. provide a much different experience. This isn't to say the museums have done a poor job with thier exhibitions, I just don't have the tolerance to fight crowds. Often by the time you get a clear view of a work it's only a few seconds before you get crowded out of the way or someone walks in front of you to snap a selfie. It's frustrating. Instead of getting inspired and creatively recharged, I often leave tired and angry. It's akin to going to the mall on a Saturday afternoon, you never really find what you're looking for and finally just want to give up and get out. Art requires time to process, which I've rarely been able to achieve in many of the major museum settings of late. Crystal Bridges reminded me how fulfilling museums can really be. Everything had space to breath and people were courteous of others viewing the same work, which is something hard to come by anymore. You weren't being distracted or rushed, which gave adequate time to study, think and pay proper attention to things of interest. Maybe the difference is a bit of good old fashioned Southern hospitality, but it's the first time I haven't felt exhausted after visiting a museum in a long time. The second major thing that drew me to Crystal Bridges is that it's situated in the South. Obviously I'm a little biased, but there are so many great things about this area of the country and its nice to see an institution that can help highlight Southern culture in a positive way. I also have to commend Alice Walton on having the balls to snap up some amazing work and create a place like this. There's a lot Crystal Bridges does right. It merges art and nature, which is a classic combination. The rolling hills of Arkansas, crisp November air and the late fall colors created a stunning backdrop for the Moshe Safdie designed structure, which compliments its rural setting. The landscape also reflects the work housed in the collection. Viewing a Thomas Moran is that much more exciting when you can take a break from the art, cozy up with a cup of tea in the cafe and enjoy some natural beauty. Finally it's a place that anyone would feel comfortable walking into and talking about art. Which is something a lot of institutions miss and as someone that didn't grow up going to art museums is important to me. The more comfotable people are going to look at art, the more they will interact and get involved. The more people that get involved the more meaning it holds and if the experience is a good one that is something that will stay with them for life. My experience at Crysta Bridges and the work I saw has definitely left a mark and has provided me with insight and inspiration for my own work. Overall I enjoyed my experience at the museum and can't wait for another excuse to visit Arkansas!